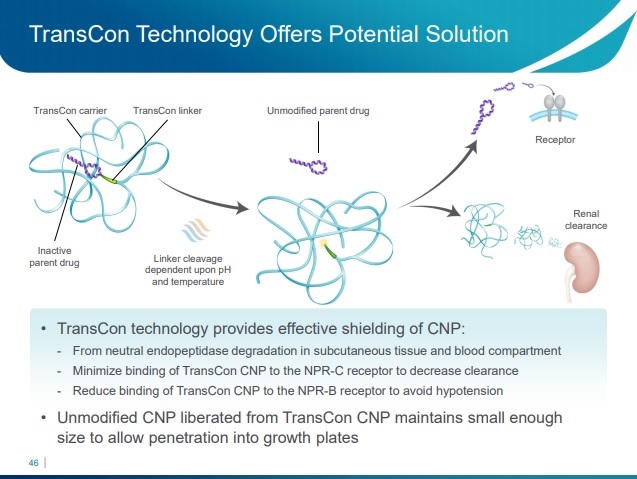 Ascendis TransCon technology includes the TransCon CNP that is a long-acting prodrug of a C-type natriuretic peptide (CNP) in development as a therapeutic option for achondroplasia and potentially for other fibroblast growth factor receptor (FGFR)-related skeletal disorders. 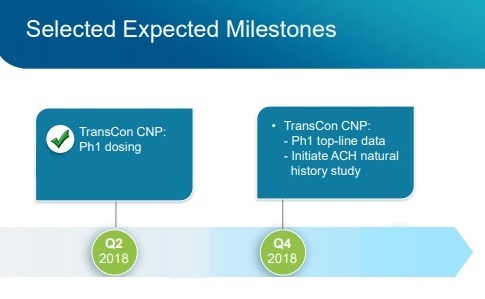 Phase 1 is taking place in Australia with healthy volunteers and is a double-blind, randomized and placebo-controlled phase 1 trial will evaluate single ascending doses of TransCon CNP in healthy adult subjects to assess 1. safety, 2. tolerability and 3. pharmacokinetics. What is a double-blind trial? What is a randomized trial? 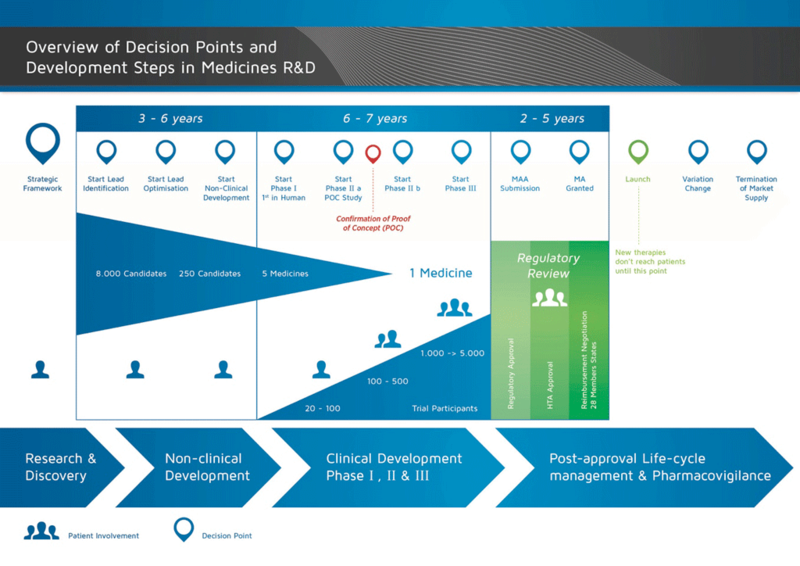 Which company’s products will be the first to be treated? I hope whatever come true us..
my son is 8 months old. everyday I search the new about Achondroplasia. Currently  a period probably what time can be clinical? 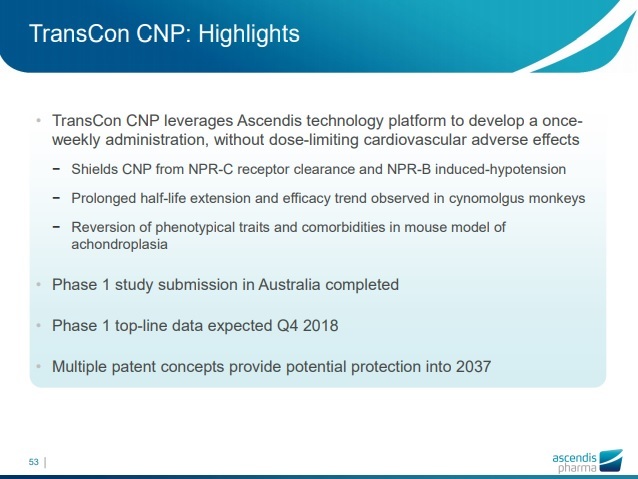 Most likely, Ascendis Pharma will try to start phase 2, clinical stage with children in late 2019.